Gesche Joost (*1974) is Professor for Design Research at the Berlin University of the Arts and since 2005 heading the Design Research Lab. With international partners, she conducts research and development projects in the areas of human-computer-interaction, gender and diversity aspects in technological development, as well as user-centered design and participation. Until 2010, she was junior professor for Interaction Design & Media at the Technical University of Berlin in cooperation with Telekom Innovation Laboratories. As a visiting professor, she taught Gender and Design at the HAWK Hildesheim. In 2009, she received the young talent award for science from the mayor of Berlin. She is the chairwoman of DGTF e.V. [German Society for Design Theory and Research] and board member of Technologiestiftung Berlin. She is member of the board of the German National Adademic Foundation (Studienstiftung des deutschen Volkes), appointed member of the Synod of the evangelical church in Germany (EKD) as well as full member of the Goethe Institute. In 2014, she was appointed as a Digital Champion for the EU commission. 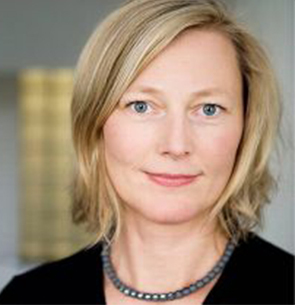 Since 2015, she is member of the Advisory Board of SAP SE.